Protect your Coleman,Suburban, Sol-Aire, Hydroflame furnace by keeping out mud daubers, mice, wasps, frogs, birds and spiders. 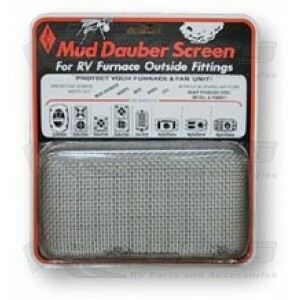 These stainless steel screens and springs will not block air flow to and from your furnace. Installs easily with tension springs and installation tool (included).